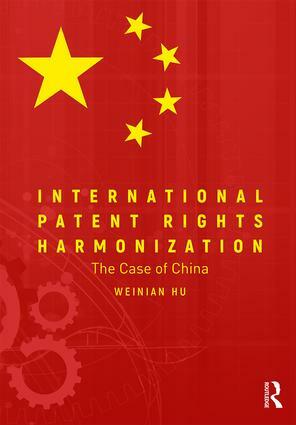 With reference to China, this book examines the course of international patent rights harmonisation; its characteristics as well as impediments. It evaluates the case of China’s patent law development over the course of the last three decades by drawing on the most up-to-date Chinese language sources. In the process, the volume focuses on China’s patent legislation, its achievements and weaknesses, as well as the intrinsic limitations, especially as far as enforcement is concerned. The author pays close attention to the unique societal background in China, a country that did not provide constitutional recognition to private property rights until 2004 and where a property law entered into force as late as 2013, 30 years after the first promulgation of the patent law. Global trade policy makers, IP professionals and businesses will benefit from the insights presented by the chapters as they will help them to appreciate the achievements and the controversies pursuant to China’s efforts in patent protection. While serving as a useful case study for countries seeking to leverage patent protection as a driver for economic development, the book will equally facilitate Chinese legislature to reflect on its patent legislation development, specifically on legislative policy choices. An additional analytical strength of the volume is that it compares the Chinese patent legislation with the American Invents Act and the European Patent Convention. It discovers the differences between the three patent legislations by using the minimum patent protection standards set down by the TRIPS Agreement as the benchmark. The results of the comparisons suggest that China has successfully harmonised its patent legislation with the global patent protection system, and often opts for higher patent protection standards. The book also considers whether China could learn lessons from Japan and India in their respective patent legislation and policy choices. With China undertaking a fourth patent law amendment, the provisions contained in the second draft of the Patent Law 2015, which was published in December 2015, are included in the analysis. Weinian Hu is a research fellow at the Centre for Private and Economic Law, Vrije Universiteit Brussel, Belgium. A Chinese national from Shanghai, Dr Hu’s career has bridged Asia and Europe at the intersection of academia, diplomacy and industry. In addition to her academic pursuits in international trade law in general, and patent law and intellectual property rights protection in particular, she acquired extensive international experience by working with a global bank in China, an inter-governmental organisation in Singapore, a non-governmental organisation in Malaysia and a global-leading public affairs agency in Belgium. She also served as consultant for the European Union for the Asia-Europe Meeting (ASEM), the multilateral political dialogue process between the Asian and the European regions. Dr Hu holds degrees from Chinese, British and Belgian universities.